We’re very grateful for some recent donations! As you can imagine, we are beyond thankful for the continued outpouring of support from local businesses, and we never take it for granted! Thank you!!! 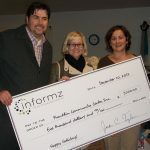 Informz employees stopped by at Christmastime with a surprise donation of $5,000.00 for Franklin Community Center. 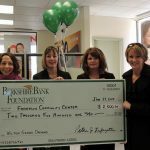 The email marketing software company is the neighbor of the community center and has been supporting them in various ways for years. This donation from Informz was the largest from the company thus far and was in addition to their employees sponsoring multiple families for Christmas. Pictured Left to Right: John Luttmer, Informz HR Manager; Alicia Deering, eMarketing Advisor; and Franklin Community Center’s Jaime Williams, Deputy Director. Saratoga Hilton’s Darryl Leggieri presents FCC’s Bo Goliber with a check for $4,000. The donation is from the proceeds raised at the annual “Breakfast with Santa” event that was held on Christmas Eve. 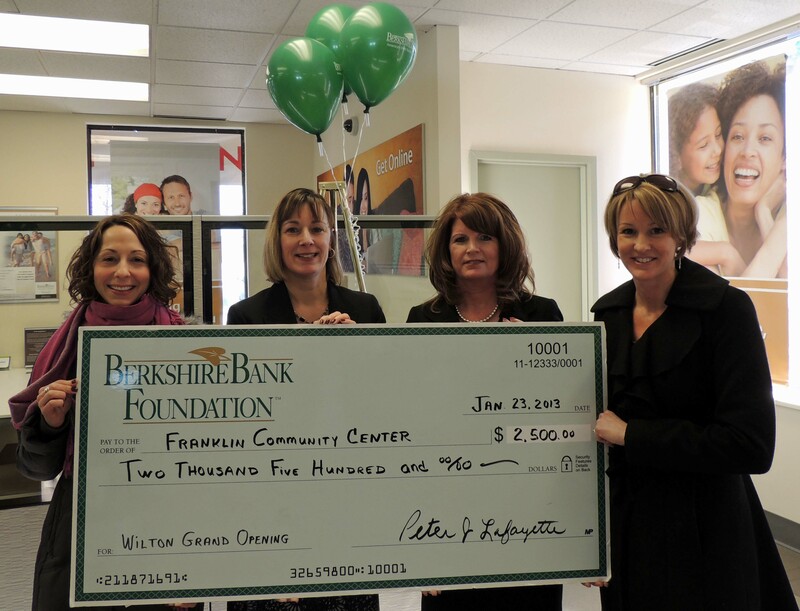 Pictured L-R: Bo Goliber of Franklin Community Center, Lori Gazzillo AVP Community Relations and Tami Gunsch SVP Retail Banking both from Berkshire Bank, and Kari Cushing Executive Director of Franklin Community Center accept a check for $2,500 to support the Franklin Community Center as part of Berkshire Bank’s grand opening ribbon cutting celebration of their new full service financial services center in Wilton, NY.